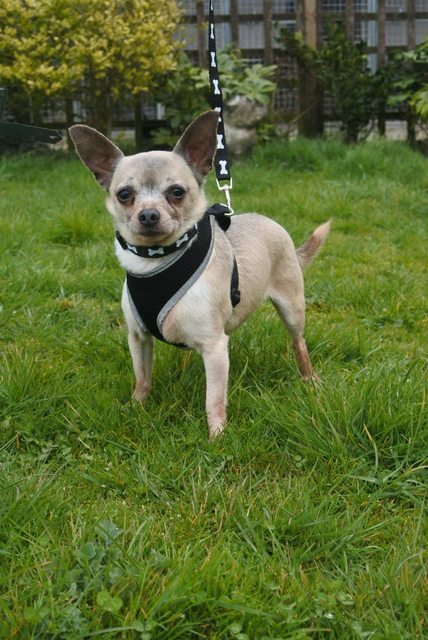 Teddy is a 5 year old blue fawn and white Chihuahua. He is an incredibly handsome little boy who has come into rescue alongside his brother Flash due to their owner no longer being able to afford to care for them. Both boys are incredibly social although a little shy to warm up to people initially. They have been fine with all the different dogs here; all size shapes and characters. 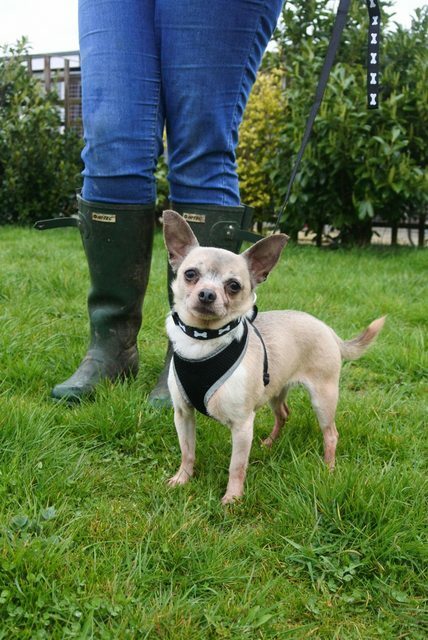 Teddy is scheduled for an extensive dental surgery next week and will be available to adopt once he recovers. 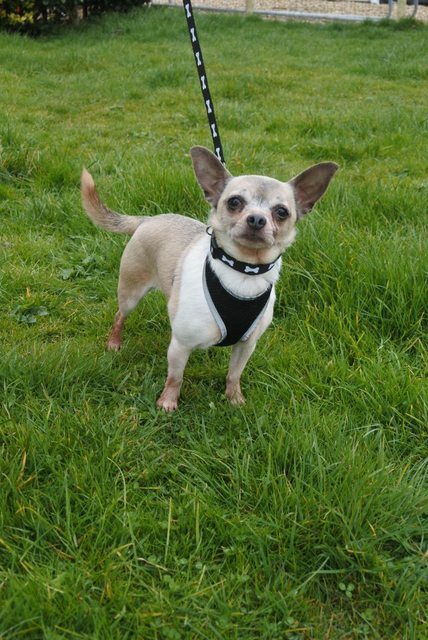 He has been neutered, vaccinated and microchipped and will be subject to a home check and adoption donation. He will also come with 4 weeks free insurance and a voucher for a box of free food.